PharmaWalls are designed to create a smooth, monolithic and easy-to-clean finish. Wall panels feature radius corners and non-shedding, non-porous surfaces. Typical construction involves aluminum honeycomb cores and skins that are non-hygroscopic and corrosion resistant. The surfaces withstand repeated cleaning and sanitization with various chemicals and are resistant to sustaining microbial and fungal growth. The pre-engineered wall panels provide a consistent appearance with the flexibility to be modified on an ever-changing job site. They come in many styles and can be configured to any layout and are easy to install. Furring wall panels, for example, are cost effective and consist of a universal design that allows them to connect easily to block, concrete, drywall and metal stud framework making them ideal for wash down environments. Panels can also be installed to achieve high Sound Transmission Class (STC) rating which provides excellent thermal insulation and sound deadening properties. 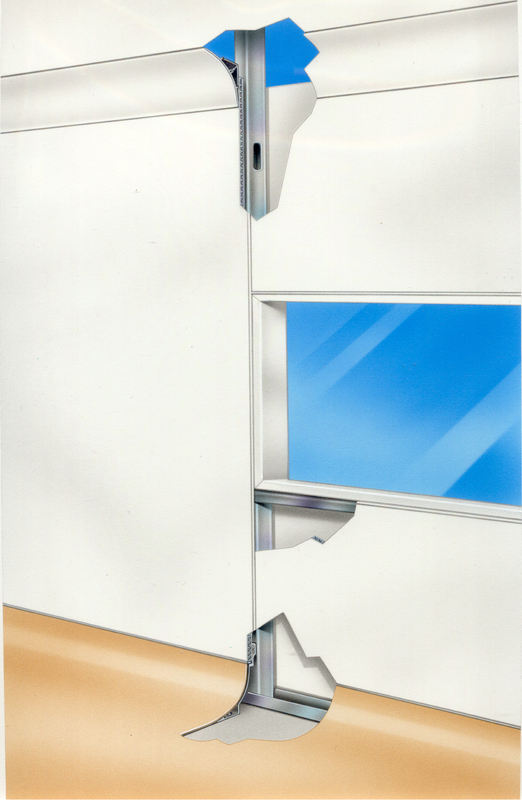 Standard panels utilize a surface applied, smooth unplasticized PVC finish which allows panel faces to be chemically welded to one another to create smooth straight line seams, but other wall panel options are available. PharmaWall panels are Class A non-combustible in accordance with ASTM E84. By lining a fire-rated wall with PharmaWall, room owners can benefit from the monolithic finish of the cleanroom wall system while meeting building codes for fire ratings.